Residents of northwest Florida had until early Tuesday to leave their homes ahead of Hurricane Michael, forecast to crash ashore midweek as a major life-threatening storm with flash flooding possible. The alert came after the tropical storm system strengthened to a Category 1 hurricane, packing maximum sustained winds late Monday of 85 miles (140 km) per hour, the Miami-based National Hurricane Center said. By 0001 GMT (Tuesday), Michael was off the western tip of Cuba´s Pinar del Rio province, churning to the north at 12 miles per hour (19 km), across from Mexico´s Yucatan peninsula. 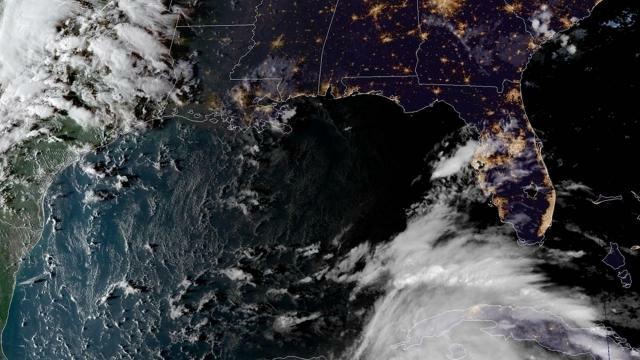 Michael was forecast to push through warm, relatively shallow Gulf of Mexico waters before moving inland over the northern Gulf coast of Florida. Since the storm will spend two to three days over the Gulf of Mexico, which has very warm water temperatures and favourable atmospheric conditions, “there is a real possibility that Michael will strengthen to a major hurricane before landfall,” Robbie Berg, a hurricane specialist at the Miami-based storm forecasting hub, wrote in an advisory. Late Monday, Michael’s centre was about 485 miles south of Panama City, Florida and 450 miles south of Apalachicola, with the storm moving northward at 12 miles per hour. A large mound of sand has been whittled away within hours Monday as residents filled sandbags to prepare for potential flooding. A couple breweries in the city offered free filtered water to anyone bringing in growlers, jugs or other containers.